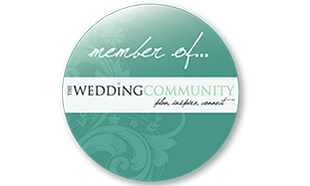 The Fine Art Book is a a great choice if you’d like a contemporary wedding album to show-off your photos. Choose from a linen or real leather cover in a wide range of colours to give your album a modern feel whilst preserving your photos on tactile, giclée paper that won’t fade over time. The books are available in either square or landscape format, measuring 12×8″ for the landscape and 8×8″ for the square. Prices start at £400 for the 12×8″/A4 Fine Art book and £350 for the square 8×8″ version with linen cover option. You can add an embossed leather cover for an additional £50. A 40 page album is usually the perfect size for approximately 80-100 photos. If you’d like to add more pages or have a larger book please get in touch for a bespoke quote. The 12×8″ Fine Art Book is a good choice if you’d like to pack your album with as many photos as possible. It’s also handy if you want to have several full-page photos to balance out the busier spreads. This book is perfect for couples who want a bigger album that feels a bit more ‘weighty’. The 8×8″ square Fine Art Book is a firm favourite for couples who want a smaller, lighter book which still has a substantial feel. This book usually looks better with a more minimal design to complement its size. 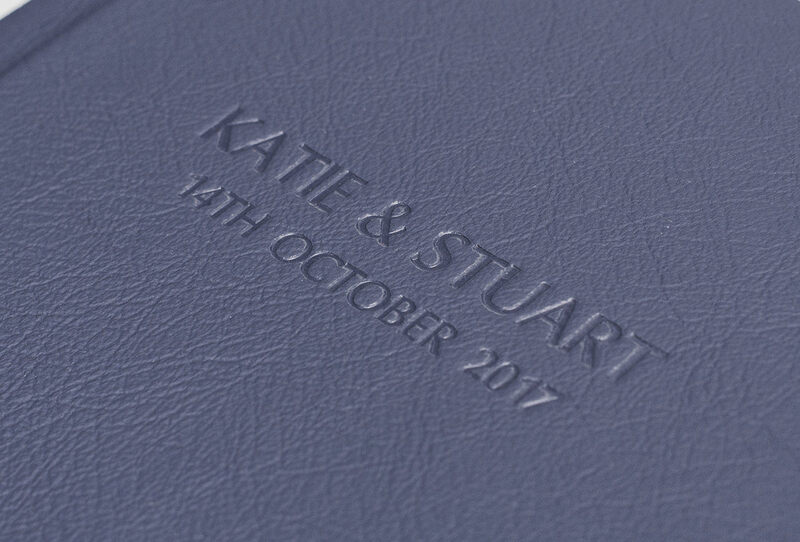 When you choose a leather cover your names and wedding date are embossed on the front cover. Embossing is a process where the letters are pressed into the material, creating a precise indentation in the leather. Options for gold, silver or rose gold embossing coming soon. 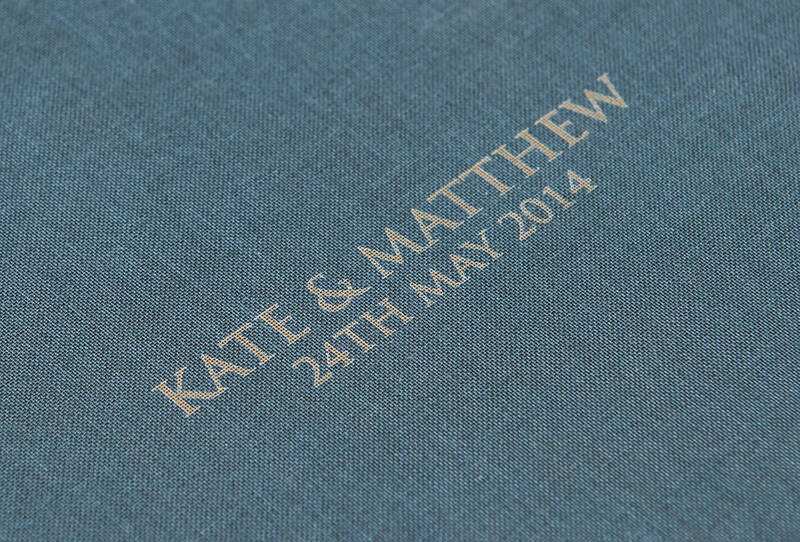 Depending on the colour linen you choose, you can either have your names embossed or laser etched on the cover. Embossing is a process where the letters are pressed into the material, creating a precise indentation in the leather in either gold or silver. Laser etching appears flat on the material and a more subdued colour. 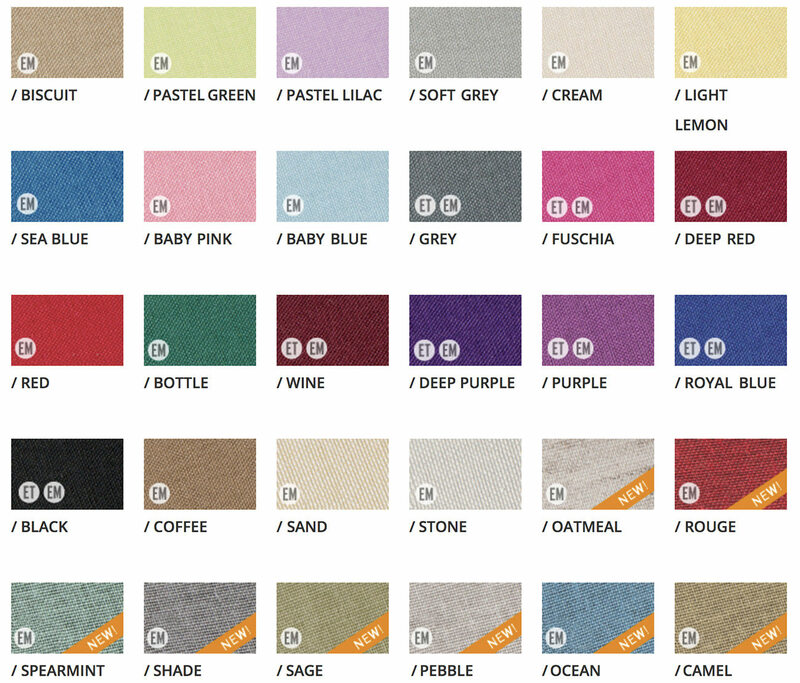 Please see the colour chart below where text options are displayed with the abbreviations ‘EM’ for embossed or ‘ET’ for laser etched. 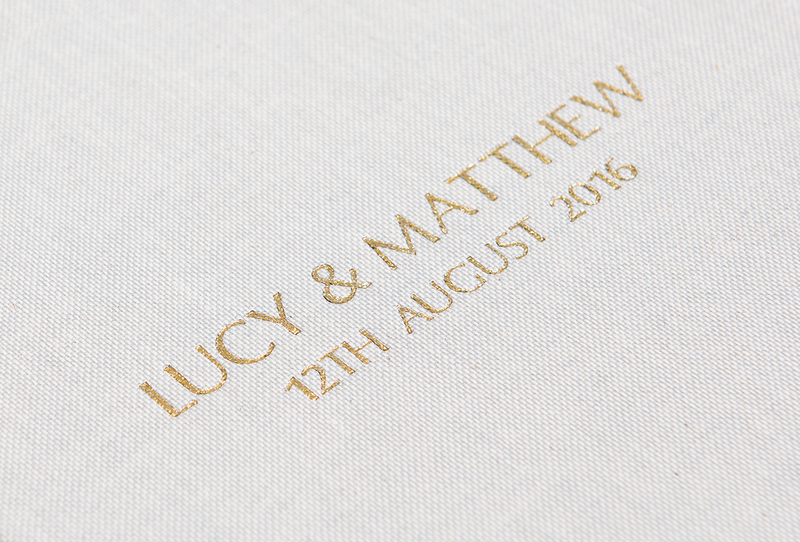 Gold embossed text on ”natural stone’ linen cover. Silver also available.